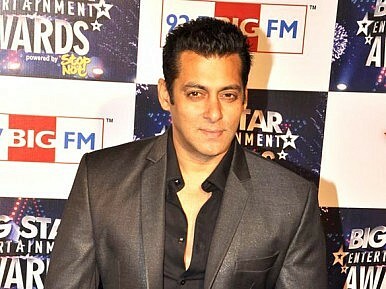 On Monday, a Mumbai Sessions Court rejected a review petition for a September 2002 hit-and-run case allegedly involving Bollywood megastar Salman Khan. The court ruled that the actor will go on trial for culpable homicide, for which he faces a potential jail sentence of 10 years if convicted. This development is a major blow for the actor who was previously going to be charged with death by negligence for a maximum sentence of two years. Khan is the second major Bollywood star to face jail time in the recent past, following Sanjay Dutt’s conviction for possessing illegal arms, allegedly in connection with the organizers of the 1993 Mumbai mass bombings that killed 273 and injured 713. In the incident in question, one person was killed and another four were injured when Khan, driving his Land Cruiser, allegedly hit a group of homeless people sleeping outside a bakery on a Mumbai sidewalk in the early morning hours of September 28, 2002. In the past, public prosecutor S Erande had purportedly warned Khan about reckless driving. At the time of the accident, Khan was allegedly drunk. The 25-year Bollywood veteran and son of screenwriter Salim Khan is wildly popular in India where he has starred in around 90 Hindi-language films, which have earned more than one billion rupees in domestic ticket sales. Some of his better-known acting credits, many of them award winning, include Saajan, Karan Ajun, Judwaa, Kuch Kuch Hota Hai and Dabangg. His trial is set to begin on July 19.